Super moisturizing Vegan Lip Balm + Tinted with Organic Plant Colors + Flavored with Essential Oils. This lip balm is what you have been looking for. One of my favorite beeswax lip balm companies recently got bought out by a big chemical company, and I realized I no longer trusted them with what I put on my lips. This lip balm is made with safe ingredients that you can eat like Olive and Sunflower Oils. No Castor Oil! Cupuacu Butter helps lips hold moisture! Even the color comes from me infusing herbs into Certified Organic Olive Oil. The best part, it looks as good as it is for you! The color of the Vanilla Tint Balm is slightly darker than other flavors. As is the nature of truly natural Vanilla, it adds a darker tinge. 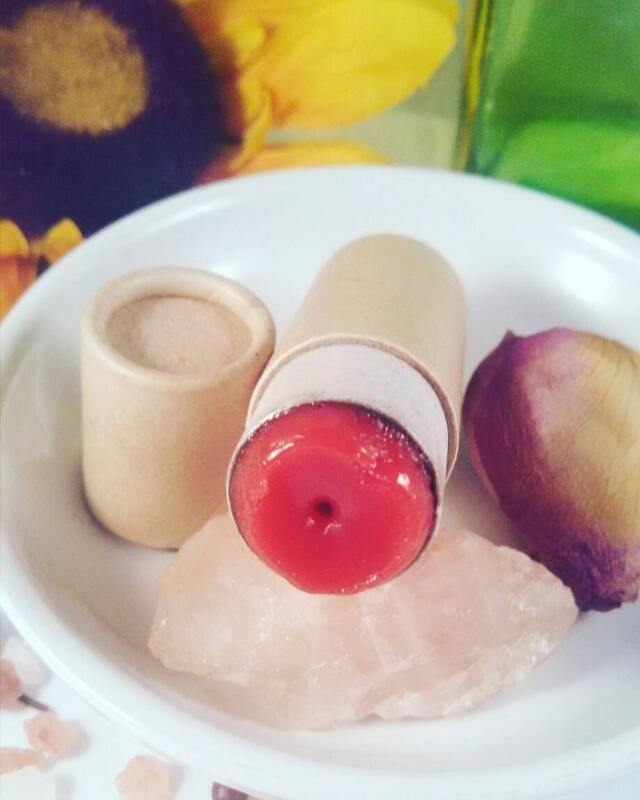 Vegan Candelilla Wax provides protection from the elements without feeling thick or waxy on your lips. Organic Alkanet Root lends a natural blush to this silky balm. Try using as a cheek color too!